All Auburn Urgent Care locations are a convenient solution to Occupational Medicine needs, saving travel time, waiting time, fuel costs, and reducing time off of the job. 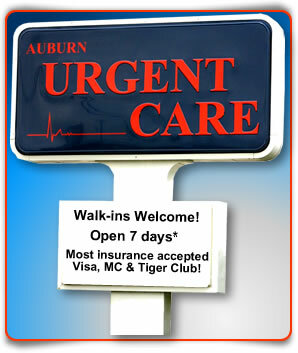 All Urgent Care locations area a convenient solution to illness, injury, minor emergency or other health care needs. No appointment needed, just come by one of our two convenient locations.